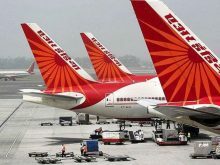 Air India has introduced a non-stop flight from New Delhi to Amritsar in Punjab and Amritsar to Birmingham in the United Kingdom. The inaugural flight was flagged off from Amritsar airport by Vijay Sampla, Minister of State for Social Justice and Empowerment in the presence of other dignitaries including Pankaj Srivastava, Director, Air India along with Shwait Malik and Gurjeet Singh Aujla, Member of Rajya Sabha and Lok Sabha respectively. The direct flight is scheduled to operate twice a week on Tuesdays and Thursdays on the Delhi-Amritsar-Birmingham-Amritsar-Delhi route. The Dreamliner aircraft AI 117 will take off from New Delhi’s Indira Gandhi International Airport at 11:20 am and is scheduled to reach Amritsar at 12:25 am. After a break, the flight will then depart from Amritsar at 1:55 pm and is scheduled to reach Birmingham at 5:15 pm. The return flight will take off from Birmingham at 6:45 pm and reach Amritsar the next day at 7:45 am. After a brief break, the flight will depart for Amritsar at 9:15 am and will arrive at Delhi at 10:30 am.